Toddlerhood is a time of big and amazing transitions. Parents get that first sentence, the first public tantrum, the joys of potty training and eventually the grand farewell to the pacifier (not the Vin Diesel kind). Part of making the transition as easy as possible is to have the right supplies, and to stock with house with books that show kids that life without the binky is a beautiful thing. 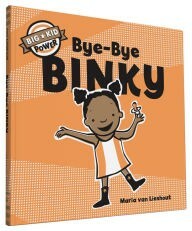 Bye-Bye Binky: Big Kid Power, by Maria van Lieshout All little kids want to be big, to go on big adventures, and do what the big kids do. With that in mind, the Big Kid series is designed to help tackle the hard stuff that little kids have to go through. Show your little one, in a super positive way, that as they get bigger they do have to say good-bye to the binky. Being a big kid does come with its advantages though, and highlighting that might just be incentive enough for some. Chupie: The Binky That Returned Home, by Thalia and Ana Martin Larranga With this witty, slightly quirky bedtime story, you can encourage your kids to send their binky off to a special Binkies-Only Land. Told from the point of view of a binky who just wants to go live with the rest of his friends in a place designed just for him, this story might encourage little kids who love the pacifier to set it free. 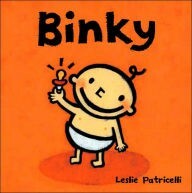 This book is unique among binky books, in that it also helps promote a bit of empathy. As an added bonus, you can pick it up in Spanish as well. Binky, by Leslie Patricelli One of many by the ever-popular and prolific Leslie Patricelli, Binky helps kids deal with their emotions about losing their favorite nap time pal. As adults we can underestimate how important a pacifier is to little ones, but parents and kids can get through the difficult times by reading together. Patricelli’s art is also bright, welcoming, and always attractive to even the youngest readers. This might be the best first step in easing that binky out of your babe’s life. 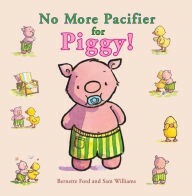 No More Pacifier for Piggy!, by Bernette Ford and Sam Williams Instead of utilizing peer pressure, which is a common tactic in putting the paci aside, No More Pacifier for Piggy helps to show little kids that sometimes the pacifier just gets in their way. How can you yell, chat, or play hide and seek with a mouth full of pacifier? What is more important — and more fun: walking around with a pacifier, or having a great play date? Use Piggy’s tale to help encourage kids to make the decision themselves to move on from the binky lifestyle. 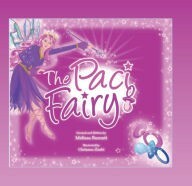 The Paci Fairy, by Melissa Burnett and Chrisann Zaubi The Paci Fairy, and the similar book, The Paci Pixie, both play with the Tooth Fairy model of moving on. The Paci Fairy helps kids prepare emotionally for the day that their beloved friend will be picked up by the fairy and replaced by a gift. The Pixie helps teach older kids (would be a great choice for older siblings) to pass their paci on to someone younger. Both books have sweet drawings and positive messages that add some magic to what could be a really tough time. Plus, everything is better with a little glitter. 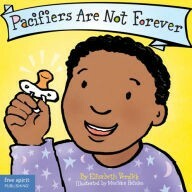 Pacifiers Are Not Forever, by Elizabeth Verdick and Marieka Heinlen Instead of focusing on not having a pacifier, the characters in this Best Behaviors Series book help kids see all the positives associated with moving on. The pictures are gentle and the words are kind and understanding. Toddlers, who often struggle with expressing themselves, will like the tone that validates their feelings and the pictures that show great paci-free activities. Another perk? This series can follow kids through other milestones, becoming a familiar voice as they grow up. What books have helped your little one kick the paci habit? Originally published at www.barnesandnoble.com on December 1, 2015.